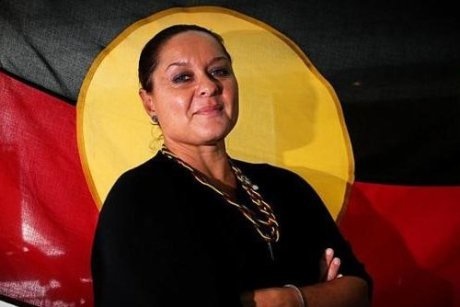 THE deputy chairman of Tony Abbott’s indigenous advisory council, doctor Ngiare Brown, has denounced budget cuts to indigenous affairs and says the $7 GP co-payment will hurt indigenous people and other vulnerable Australians who desperately need help to close the health gap. Professor Brown will use next week’s meeting of the council to warn that the cuts to indigenous health will inevitably affect frontline services. She told The Australian she would use her role on the council to push for reconsideration of the co-payment scheme and exemptions for vulnerable Australians and indigenous people based on income and burden of disease. On overall cuts to the indigenous budget, she said she was determined to get detailed answers on where the cuts would come from and what they would affect. “There have been anticipated cuts across the board for each portfolio and department,” Professor Brown said. “But what is most concerning is that there is talk about cuts to essential portfolios like health and education but currently there is no clarity on what this means. “The Coalition claim they want to cut red tape, duplication and the bureaucracy, for example, but I’m concerned there are actually going to be cuts to frontline services, which we were promised would absolutely not be the case”. On the cuts to preventative programs such as indigenous smoking campaigns, Professor Brown, one of the first group of Aboriginal medical graduates in Australia, said she considered this a frontline service. “Public health and … prevention are absolutely frontline services, particularly in comprehensive primary care contexts like Aboriginal and Torres Strait Islander health,” she said. “So whether they are specific smoking programs or whether they are brief interventions delivered by our health workers, nurses and general practitioners, public health prevention programs are absolutely frontline services. Indigenous Affairs Minister Nigel Scullion has vowed that the $239 million being cut from the general indigenous affairs budget will be achieved through “efficiencies” and less red tape and duplication — and not reductions to frontline services. But with an additional $165m being cut from indigenous health, peak indigenous lobby groups fear that efforts to close the gap are being compromised. Warren Mundine, chairman of the Prime Minister’s indigenous council, has said the Coalition originally intended to cut the portfolio’s budget by 10 per cent. The eventual 4.5 per cent cut announced in last week’s budget would come from ‘inefficiencies”, not frontline services, he said. Professor Brown, who was previously the Australian Medical Association’s indigenous health adviser, said she was also concerned that the impact of the GP co-payment on indigenous people and closing the gap had not been taken into consideration. “I don’t think there has been consideration of any kind for the financial, economic or social impacts or the intended and unintended consequences of co-payments,” she said. “Obviously the most vulnerable are going to be the ones that are hit the hardest: the young, the old and those with chronic diseases in particular. People needing multiple visits over long periods to manage their chronic disease or palliative care or children with special needs or disabilities for example — how are they going to afford multiple consultations at $7 a pop? “One of my greatest concerns is not only that the most vulnerable will bear the brunt of a poorly conceived co-payment initiative, but that the health care system will not cope. “The policy makers need to think very carefully about whether to go ahead with the co-payment and if they do, who will pay and who will have exemptions.